If you’re a caregiver for a senior or you are a senior who is considering enrolling in Senior LIFE, you probably have questions about the LIFE Program. The Senior LIFE Program is designed to allow seniors to live their best lives at home, as opposed to living in a nursing home. Senior LIFE services give members the opportunity to enjoy the support and health care they need while maintaining their valued independence. Each Senior LIFE member receives an individualized care plan that includes all medically necessary health care and services. Naturally, you may have questions about the Senior LIFE Program. Read on for a look at answers to the most common questions—and how you can get started with Senior LIFE. If you’re unhappy with your current MCO plan, Senior LIFE is an alternative option. The LIFE Program is part of a larger, national model, called “Program of All-Inclusive Care for the Elderly” (PACE). The PACE model is over 40 years old, while Pennsylvania’s version (LIFE) is almost 20 years old. LIFE/PACE is funded by Medicare and Medicaid and helps people meet their healthcare needs in the community instead of going to a nursing home or other care facility. Members have a team of healthcare professionals working with them and their families to make sure they receive the necessary coordinated care. How Can the Senior Life Program Help Me Stay Home? The Senior LIFE Program combines any necessary home care services with other services provided at a nearby LIFE Health and Wellness Center, as well as a nurse who is on-call 24/7 and doctors who make house calls. Senior LIFE is a program of all-inclusive care for the elderly, in which members remain in the comfort of their own home while still getting the care they need, providing their family caregivers peace of mind. What Benefits Are Provided by the Senior LIFE Program? Members are also encouraged to participate in events, exercise, and other activities at their local LIFE Health and Wellness Center. How Much Does the Senior LIFE Program Cost? If you are eligible for—or already receiving Medical Assistance—there is absolutely no cost to enroll in the Senior LIFE Program. There is no monthly premium, deductible, copay, or out-of-pocket cost for members living in the community. Contact the Senior LIFE location nearest you or call 1-877-998-LIFE (5433) to speak with an outreach coordinator who can help determine whether you’re eligible. Most people don’t realize they are eligible, but the LIFE staff will help you through application process. 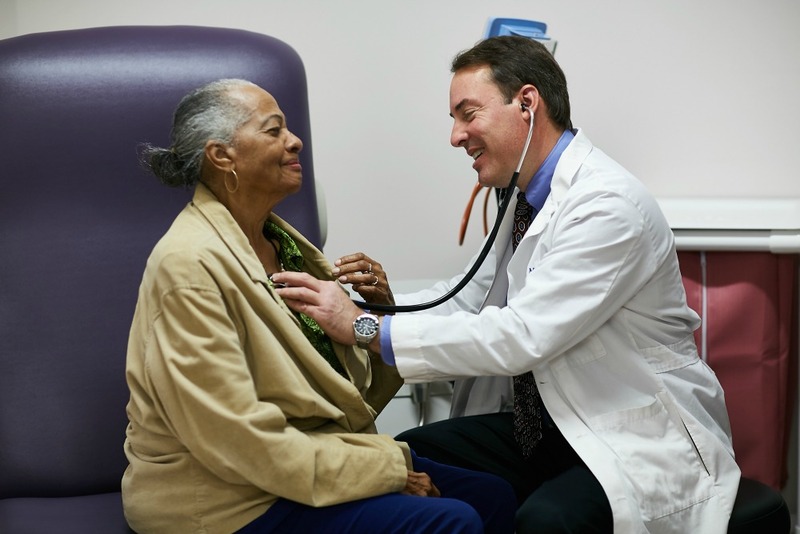 Can I Keep My Doctors With the Senior LIFE Program? Senior LIFE is fully staffed with geriatric doctors and an interdisciplinary team made up of both professionals and paraprofessionals, providers, nurses, homecare coordinators, transportation drivers, social workers, physical and occupational therapists, and dietitians. Senior LIFE has an extensive provider network and partners with local physicians and specialists in your area. Call us today to learn more about our provider network. I Originally Chose an MCO Plan. Can I Switch to the Senior LIFE Program? If you are currently 55 years of age or older, need more care and services, and meet the eligibility requirements for the LIFE Program, you can choose Senior LIFE as an alternative option to Community HealthChoices. The Senior LIFE Program gives seniors health choices that allow them to live their best lives at home. Through the program, members enjoy independence while still receiving the health and supportive services they need to stay healthy and happy.